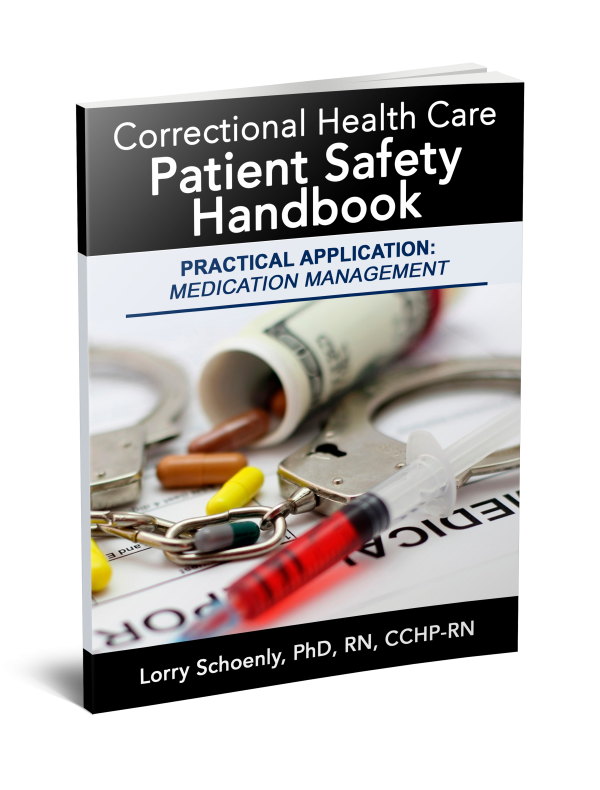 Patient safety is a growing field within traditional health care and an increasing emphasis in the correctional setting. A model for understanding and applying patient safety principles can help speed implementation of a patient safety program. 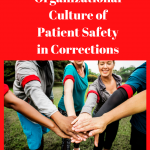 A four-component model for correctional health care patient safety was created based on organizing principles from the work of physician Linda Emmaual and colleagues developed for traditional health care settings. Emanuel’s model included the interacting elements of health care workers, patients, and systems of therapeutic intervention. 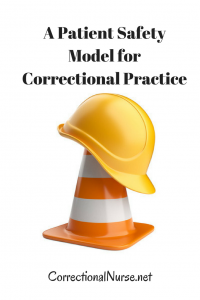 The highly volatile component of the environment of care delivery was added for application of the framework in the corrections specialty (see figure). What are the key elements of each area of patient safety? 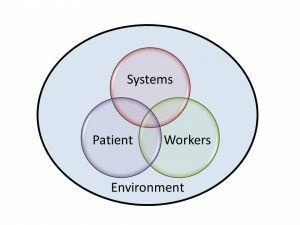 The environment in which health care is provided affects the interaction of the patient, the health care workers, and the systems used to deliver care. The environment is primarily the organizational culture of the workplace but can also include the physical environment such as the design of the care delivery setting and the available equipment and supplies. The secure environment of the criminal justice system adds intensity to the environment of care by also imparting a unique set of values and cultural norms. 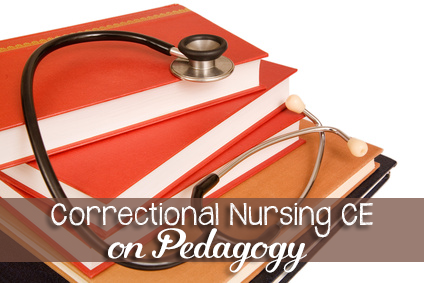 The environment of care is of particular concern in a correctional setting. 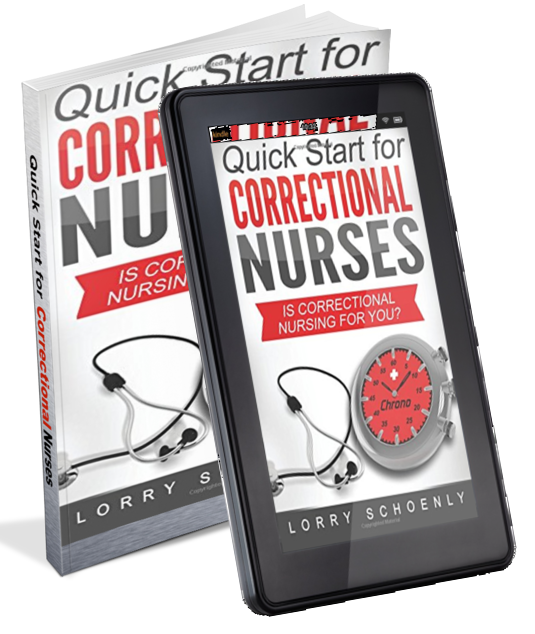 Unlike traditional health care, most correctional care delivery takes place in an environment managed by others. 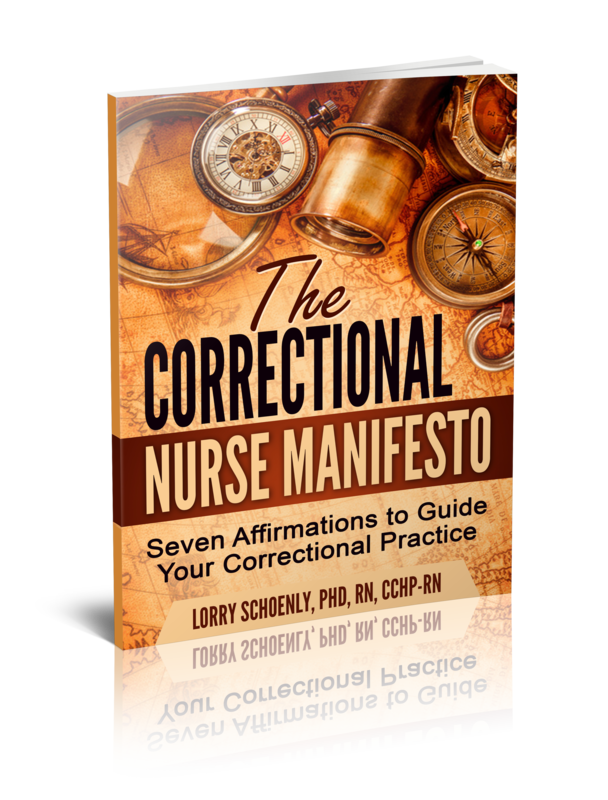 Correctional professionals have a worldview nurtured by their values and beliefs, which can compete or conflict with the role of health care and lead to patient safety challenges. Organizational culture must support mutual goals of health care and custody so that the environment promotes safety. Patient care is delivered through a complex system of intertwined processes. The patient and health care workers interact with these systems of therapeutic action within the environment of care. These interacting components have weaknesses that lead to clinical errors. Vulnerabilities within the system of care delivery, including the potential for miscommunication among staff and patients, create an ongoing need for attention to improve patient safety. 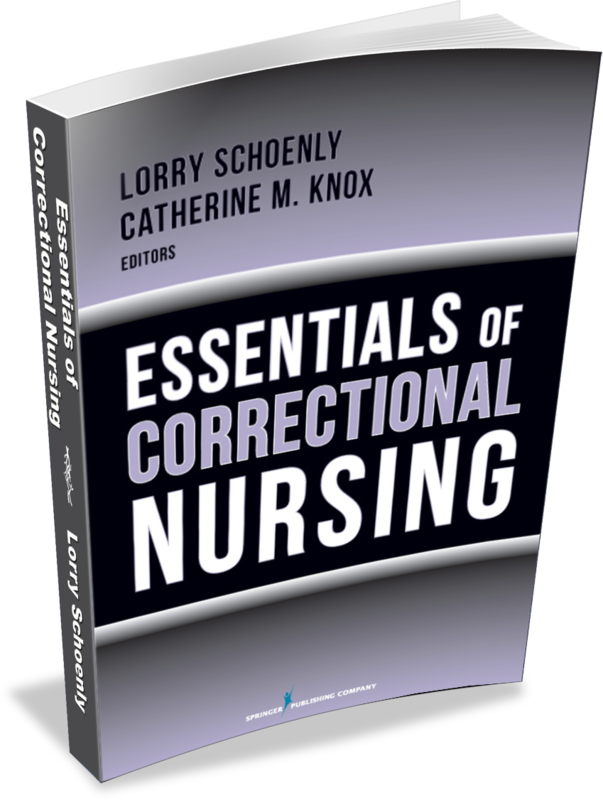 This can be especially concerning in correctional health care where practitioners must effectively practice within the criminal justice system among many disciplines. This increases the number of interacting components for standard processes and adds barriers to care delivery. Systems of care, then, are an important component of a patient safety environment. Therapeutic systems, powered by principles of high reliability systems design and human factors engineering, reduce the potential for patient harm. Communication and teamwork based on transdisciplinary collaboration can stabilize communication patterns to improve patient safety within this system. 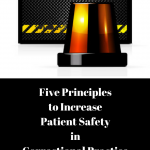 Patient safety principles can increase the reliability of care systems, reducing error, and improving outcomes. The patient, as recipient of care, is also a vital part of a safety framework. 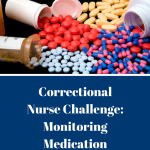 Interacting with health care workers and the systems of therapeutic action within the environment of care, patients have opportunity to actively participate in and monitor care delivery. 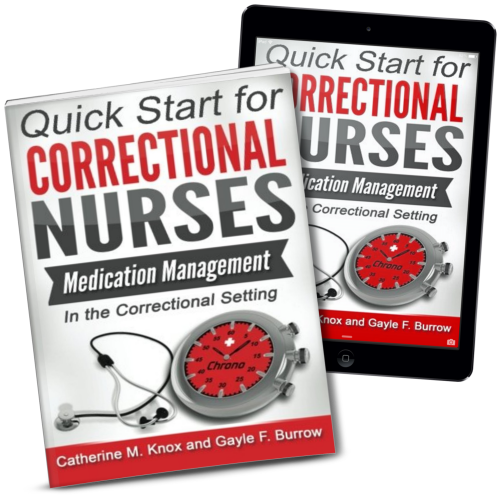 There are many barriers to engaging patients in the criminal justice system that must be considered and overcome. 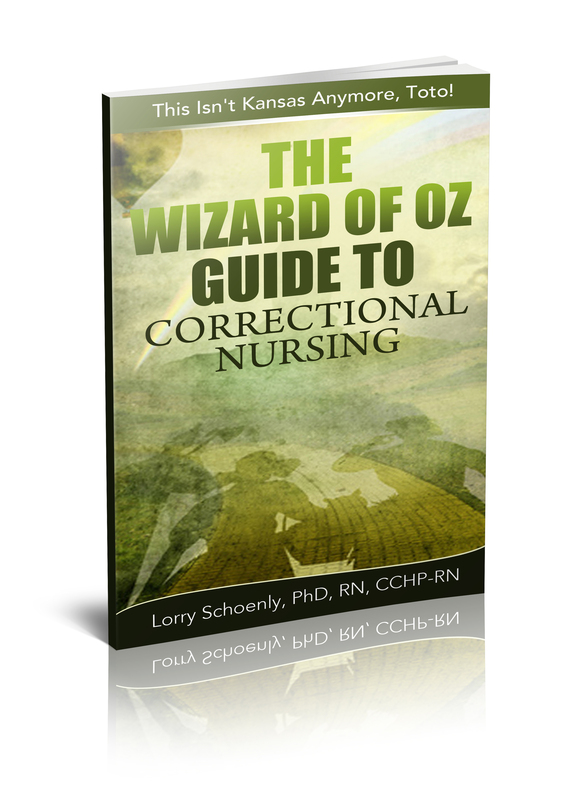 The role of patients in the correctional health care patient safety program may, at first, seem minimal. Applying principles of patient-centered care and educating the patient population about their role can, however, increase meaningful participation. Patients can be valuable members of their health care team when they understand their role, are health-literate, and are motivated. Health professionals have an obligation to encourage patient participation to improve safety and reduce clinical error. The competence and judgment of health care staff is a major factor in patient safety. Staff interact with the patient and take therapeutic actions to deliver health care. 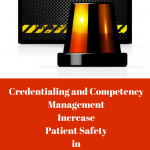 Throughout the continuum of practice, health care workers have an opportunity to improve patient safety by developing and maintaining clinical competence. Internal and external factors such as fatigue, work stress, impairment and shift rotation affect worker’s abilities to deliver safe care. Health care workers must be aware of their own biopsychosocial well-being and take steps to reduce physical and compassion fatigue or work stress, when possible. This includes actively monitoring general health and well-being to determine if disease or medical treatment may be impairing clear thinking and dexterity. Individual workers and their teammates also have a responsibility to be aware of potential substance use issues. Organizations, however, have a primary responsibility for attending to external factors such as staffing ratios, staffing mixes, and shift work – all factors that affect an employee’s ability to deliver safe patient care. 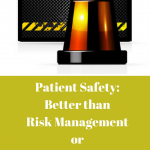 Implementing a patient safety program can seem overwhelming. 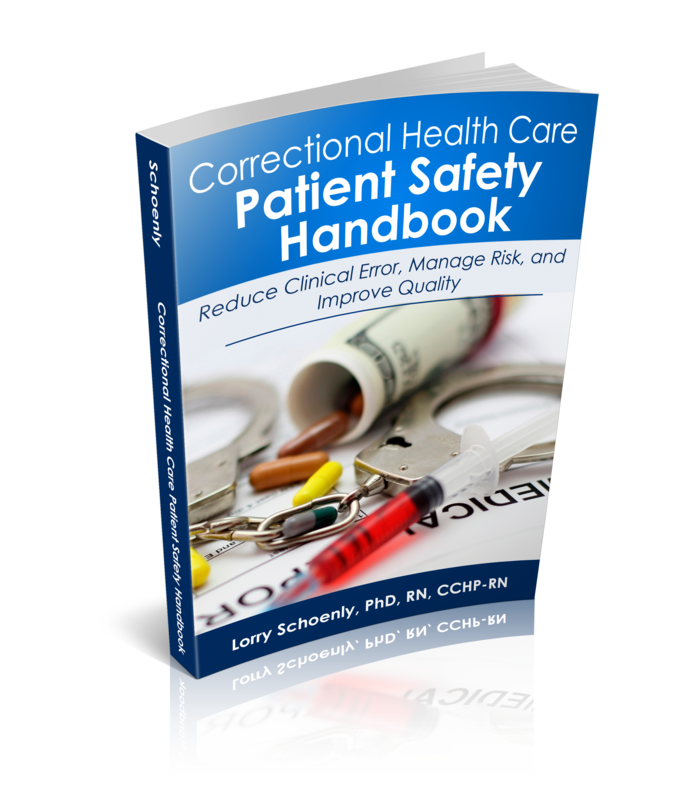 Using a framework such as this Correctional Health Care Patient Safety Model can speed implementation and understanding of the various components of patient safety in our specialty. 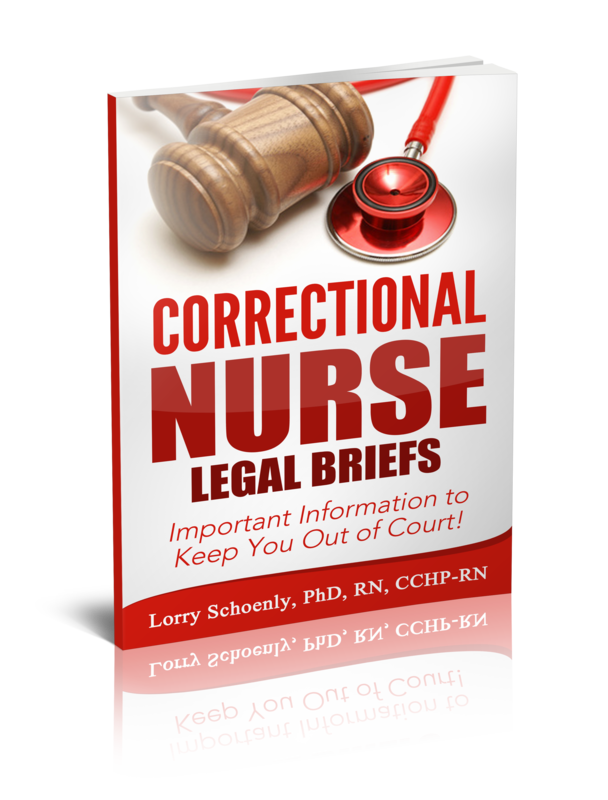 Originally published in the Spring 2015 issue of CorrectCare™, the quarterly magazine of the National Commission on Correctional Health Care.